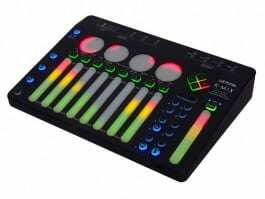 The original Nucleus appeared in 2010 as the ultimate project studio DAW controller and audio interface. It was like bolting together a pair of Mackie controllers with a disappointingly small USB audio interface. Or, perhaps it’s a bit like an expanded version of the old Yamaha O1X. Anyway, it was a serious chunk of gear and the Nucleus2 (or Nucleus squared depending on how you read it) wants to bring it right up to date. They look very similar. The size and layout seems to more or less mirror the original Nucleus. 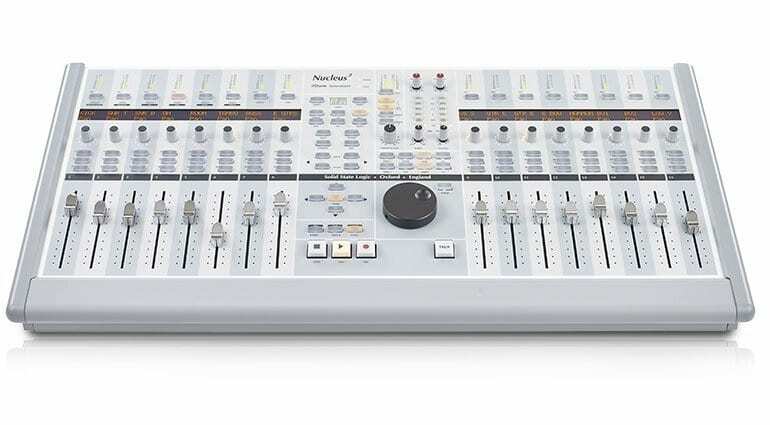 They’ve gone for this light grey/white colour which is pretty uncommon in pro audio gear. The list of specs is enormous and rather than reprinting all that here I’ll give you a quick summary of what’s new. They’ve added the much requested Talkback input that routes direct to the headphones with a big fat TALK button next to the transport. There’s a second set of speaker outputs and a button to switch between the two for easy comparisons. The biggest change is in the audio interface side. The original Nucleus had a rather unimpressive 4 in out USB interface. With the Nucleus2 they’ve replaced it with a 2 channel Dante ethernet interface. Dante allows you to route audio over a network to any other Dante device. 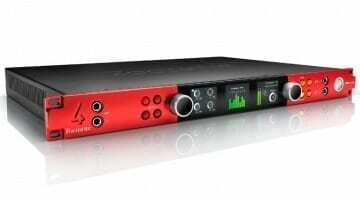 Focusrite’s RedNet is based on the same technology. It’s very cool and very future looking. But as with the first Nucleus I’m disappointed that this isn’t more like 32 channels of Dante. You have all this control and pristine signal path built into a professionally built console but you can only record in stereo. I’m obviously missing the point. I guess the Nucleus is really a controller first that just happens to let you record a bit of audio. On the DAW control side they’ve got this fully covered. Emulating both HUI and MCU protocols it has a special way of being able to control up to three DAWs simultaneously. The build quality and feel of the faders is excellent throughout. 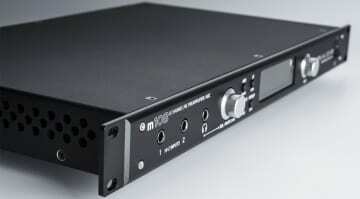 The SSL SuperAnalogue signal path and mic preamps ensure the audio is kept at the highest quality. Although it’s not a radical upgrade to the original this update sorts out a misstep in the monitoring and gives it wider integration into a growing studio format. The Nucleus2 will ship in November and is priced at £3399 ex VAT. More information and a huge page of specs are available on the SSL website. 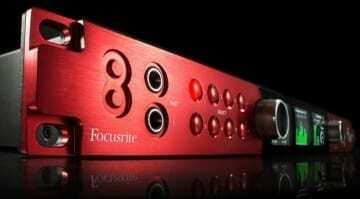 Focusrite RED 8Pre – the ultimate interface?